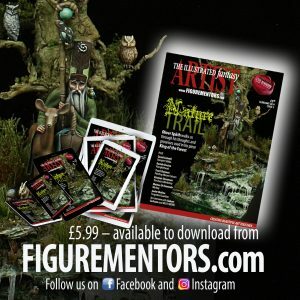 Ever since we made the jump and created The Illustrated Historical Artist there has been overwhelming support and demand for a magazine of the same quality writing and design, showcasing all that is wonderful in the Fantasy genre. As of October 1st, we will be bringing you a bimonthly issue of The Illustrated Fantasy Artist! We already have content lined up for the first four issues and we are really excited about delivering for you a product unsurpassed within our niche market! We have informative and inspiring articles by Alfonso Giraldes, Joaquin Palacios, Arnau Lazaro, Dmitry Fesechko, Camelson, Francesco Farabi and others written by the up and coming generation of painters such as Kristian Simonsen, Chris Suhre, Paolo Di Poce and so many more besides. This promises to be the magazine that all fantasy figure painters have been crying out for. Stay tuned! Realise your dreams with The Illustrated Fantasy Artist, out soon!